Post driving with excavator mounted machine. 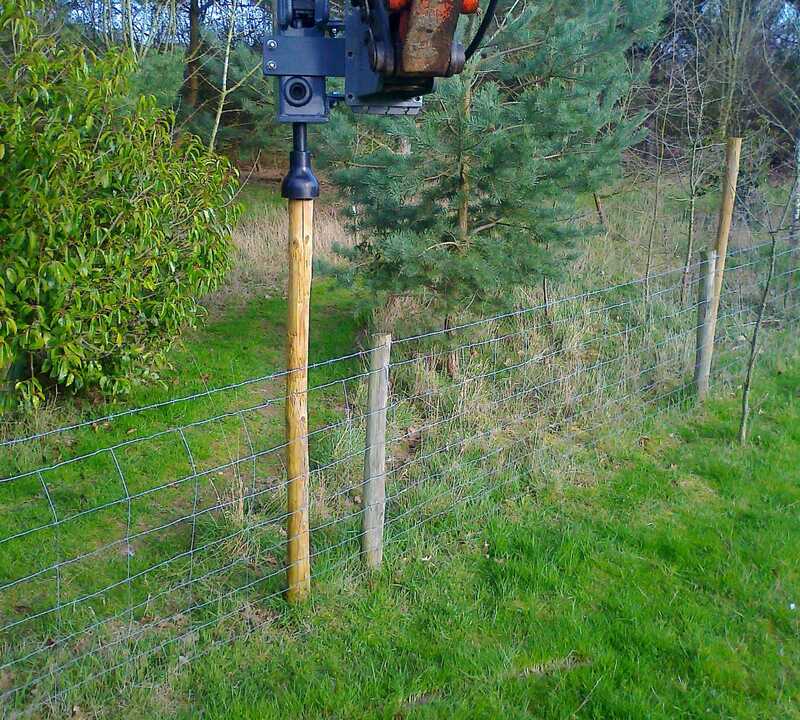 Seen here putting in sawn treated posts for post and rail fencing. The Posts are driven in with the modified concrete breaker attachment on the 5 tonne excavator. 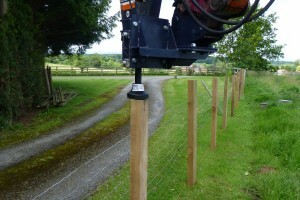 In this case the 6″x3″ posts are inserted easily without a point. 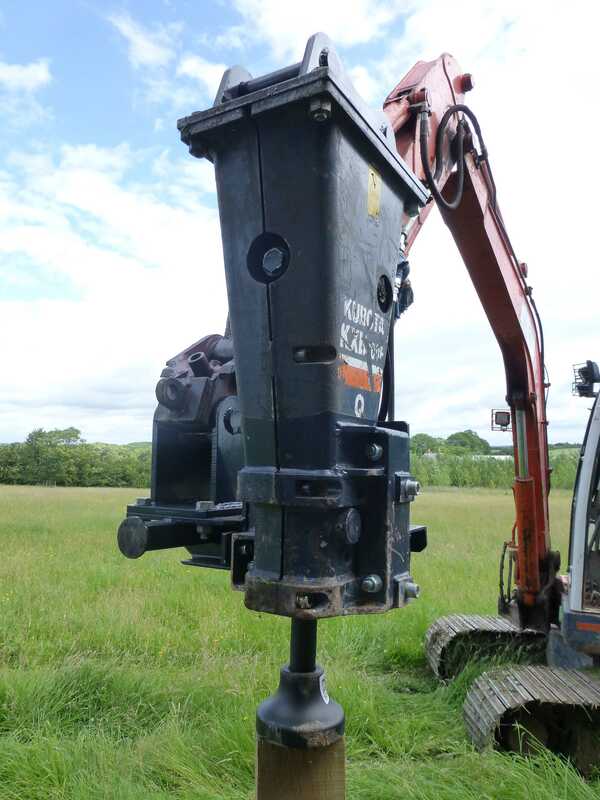 The attachment offers great versatility as it can operate at full reach (over 5 metres from the excavator) and at a vast range of angles meaning that the most awkward of corners can be reached, even across ditches or over hedges! 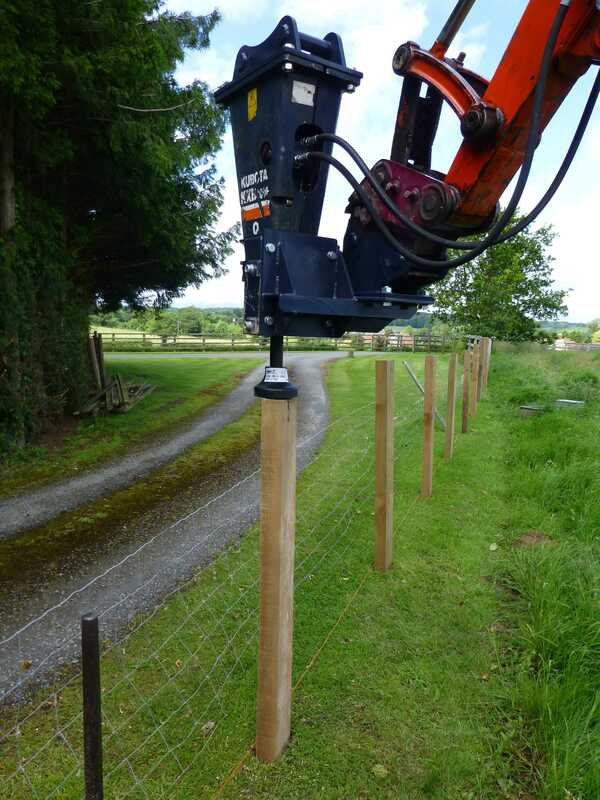 Fencing Stakes can be started by hand by simply stabbing them into the ground and then the attachment is simply placed on top and operated for a matter of seconds to drive it to depth. This means that the job can be completed quickly by one person alone without having to get on and off a tractor constantly as you would with drop-weight machines. 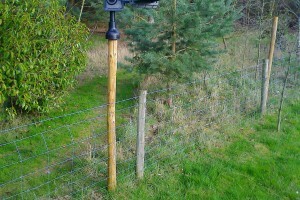 The post driver is particulary handy for carrying out fencing repairs where existing stakes may have failed and a new stakes is required. Conventional post knockers may struggle to work close to the wire, especially the top strands of barb or high tensile.